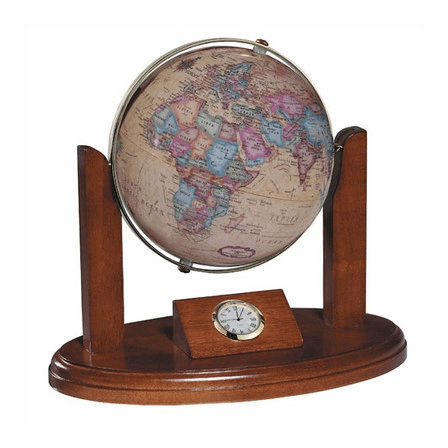 The Executive Globe, by Replogles, is a stunning gift for graduation, retirement, promotion, or any special occasion! 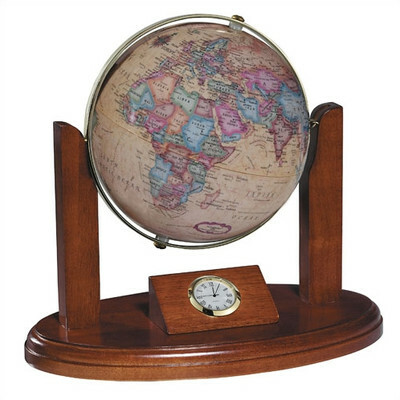 The dimensions are 10' x 6' x 9', perfect for displaying on the desktop or shelf. 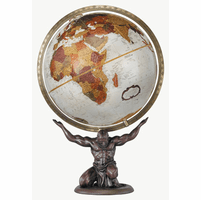 A walnut finished wood base holds a 6' diameter ocean globe with antiqued background, surrounded by a brass-plated, gyro-matic meridian. 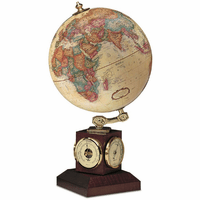 A quartz clock, with white dial and black Roman numerals and hands, is inset into the base. This gift is sure to be enjoyed by anyone lucky enough to receive it! 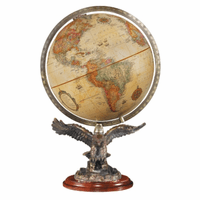 Do you offer engraving on this particular item?